Did you know September is National Milkshake Month? 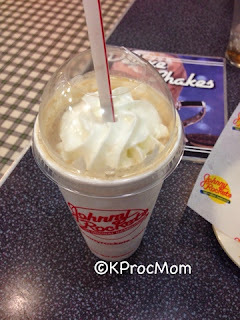 I didn't either until during Blogger Bash where lunch and a milkshake station was provided by Johnny Rockets. 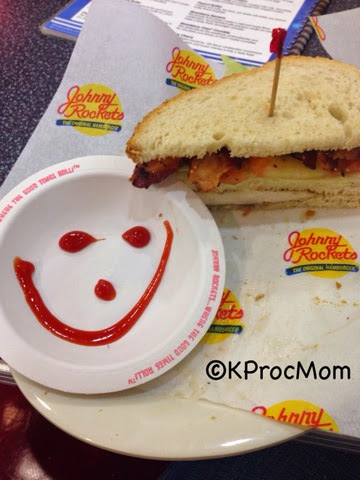 I also never knew about ketchup art, at Johnny Rockets your food comes with a ketchup bowl with a smiley face. At Blogger Bash when they had an artist doing amazing art work with only a ketchup and a knife. 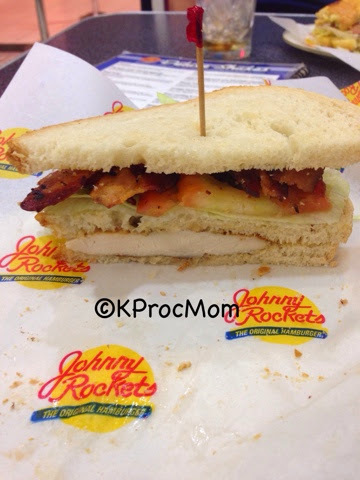 I can't honestly remember when I last ate at Johnny Rockets, it had to be on a vacation somewhere, but lunch was delicious, and everything I had was loaded with bacon, so I was intrigued for another meal. Johnny Rockets provided me with dinner at one of their locations, I chose to visit the Palisades Mall in Nyack, NY with a friend for a much needed girls dinner. 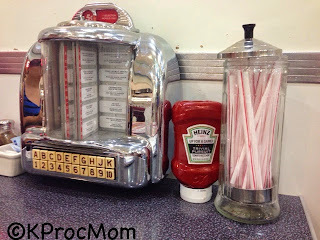 In the center of the mall Johnny Rockets is sitting there, immediately walking in you feel like a blast from the past. JUKE boxes at the tables, straw holders, red and white stripes everywhere and RED SHINY leather booths and stools, just scream 50s to me. They offer many tradiontal plates, do you want haambrugers, sandwiches, salads? What about a side of bacon and cheese fries (yes I ate the whole thing myself). I ordeered a BLT on toasted white bread, no mayo an between the sandwich and fries i was stuffed! 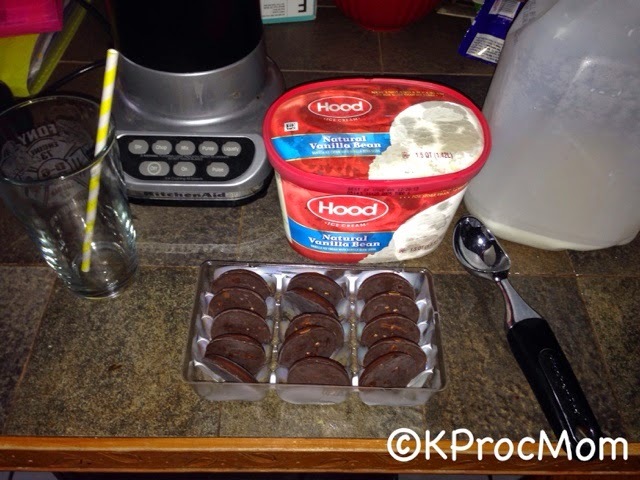 Yet, I couldn't pass up on a milk shake and all day I have been thinking of chocolate and peanut butter. My second favorite is Vanilla with M&Ms mixed in, I love trying new flavors. At first I thought we would walk around with it so I asked for it in a to-go cup... they have them too, you can also order your food to go/pickup but I wound up sitting and talking and in that time drank the whole thing, YUM! I have to say, I was pleasantly surprised by my experience there, the staff was friendly, food came out quickly and everything was tasted so good. Also, having that fast food feel (AMBIANCE WHILE), but sitting down and being waited on in the mall is pleasant, you can relax and talk without all the noise of the food court too. (At least in the location i visited). I will be back soon I know too. 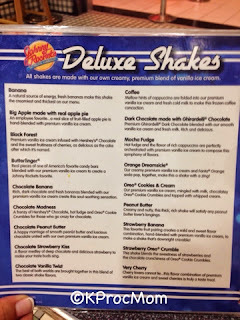 There are a bunch of other milkshake flavors I still want to try and treat the kids! 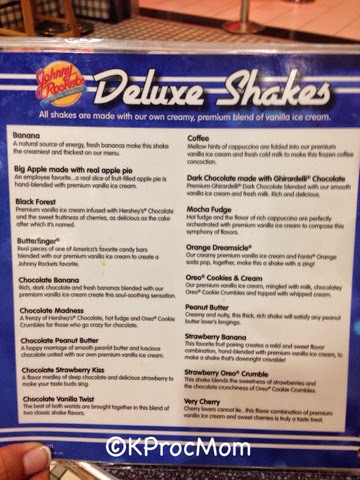 Johnny Rockets want to know what Milkshake you like best... they challenged people to make their own milkshake and share it. I took out my blender and made one too.. Vanilla with Tagalongs- YUMMY! 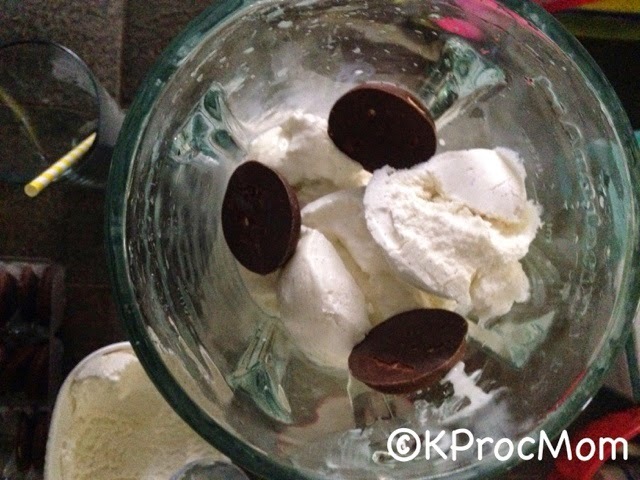 Ingredients: 1/2 cup of milk, 5 scoops of Vanilla Bean Ice Cream, 2 Tagalogs and BLEND! A decorative straw is a must also! 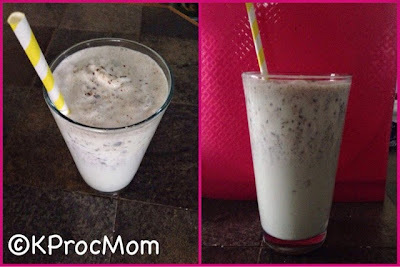 Since September is National Milkshake Month, I want to know what your favorite milkshake is (leave a comment with your flavor), enter giveaway through Rafflecopter below. Prize: Dinner for 2: 2 Sandwiches, 2 fries and 2 drinks. 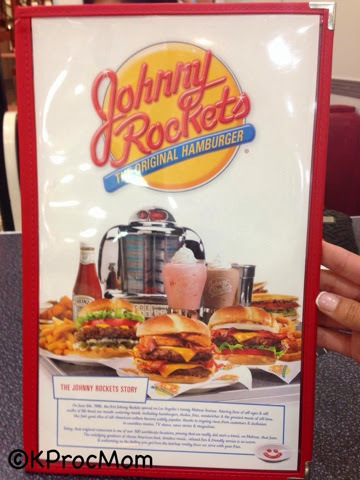 Good for use in the U.S.
Disclosure: I visited Johnny Rockets and was provided my meal complimentary, all opinions are my own and as always 100% honest. Chocolate banana is my favorite. Sometimes I add peanut butter. Total guilty pleasure! Vanilla milk shake with Whipped Cream and a cherry on top! I just tried the Butterfinger one and it's delishious! my favorite milkshake is black & white! !